Featured Products There are 18 products. 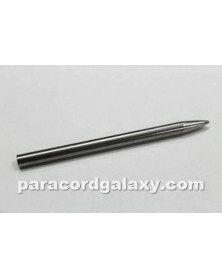 2.75" Lacing Needle or Fid for Type 1 and Micro Paracord. This 550 paracord is a bright rainbow of colors where one color blends into the next. These may have some small black smudges in various places and other small amounts of minor color bleeding. Electric Blue 550 paracord is solid Electric Blue in color (Nylon/Nylon). Made in USA. Imperial red 550 paracord is a solid Red color (Nylon/Nylon). Made in USA. This 550 paracord is a bright rainbow of colors where one color blends into the next. 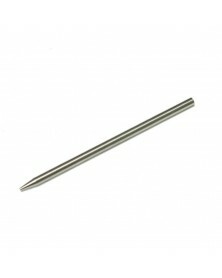 3" Lacing Needle or Fid for 550 Paracord. 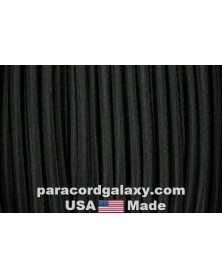 Parapocalypse paracord is 550 Cord size with a 650 lb tensile strength. It has eleven strands housed in a Black Polyester Sheath. Survival Kits need this Cord. This 550 Paracord is made with colonial blue and green colors in twisted stripes (Poly/Nylon). Made in USA. Parapocalypse paracord is 550 Cord size with a 650 lb tensile strength. It has eleven strands housed in a Woodland Camo Polyester Sheath. Survival Kits need this Cord. 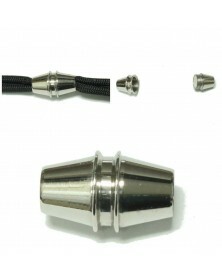 Parapocalypse paracord is 550 Cord size with a 650 lb tensile strength. It has eleven strands housed in a Olive Polyester Sheath. Survival Kits need this Cord. 1/4" shock cord Black is also known as Elastic, Stretch or Bungee Cord. 100 ft. Made in USA. Parapocalypse paracord is 550 Cord size with a 650 lb tensile strength. It has eleven strands housed in a Ground War Camo Polyester Sheath. Survival Kits need this Cord. Show your fan support for the Dallas Cowboys with our 550 paracord fan package. *Please note these packs only count as one cord toward free buckles and flat rate shipping.